It was a very hot day today, but not too hot to do something good for our community and the environment. Trees NC joined forces with fourteen young men from the Central Boys and Girls Club and went hard to work mulching some very special trees. These trees, planted by Trees NC at the YMCA, were all planted in honor or in memory of some great people in our community. 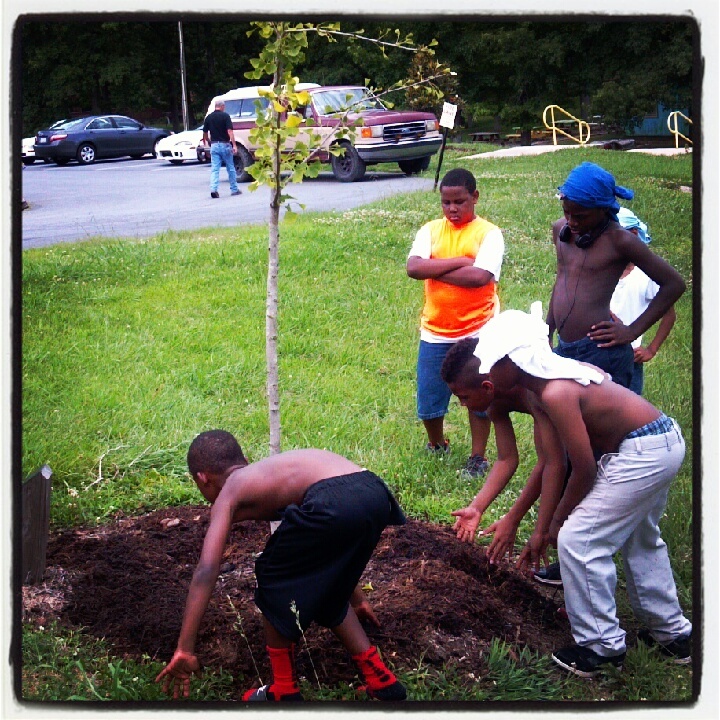 Led by Trees NC's Timmy Womick and Sharon Womick, the youth cleaned up around the trees and gave the trees strategically placed new mulch to help conserve water and keep the trees healthy during our hot summer. 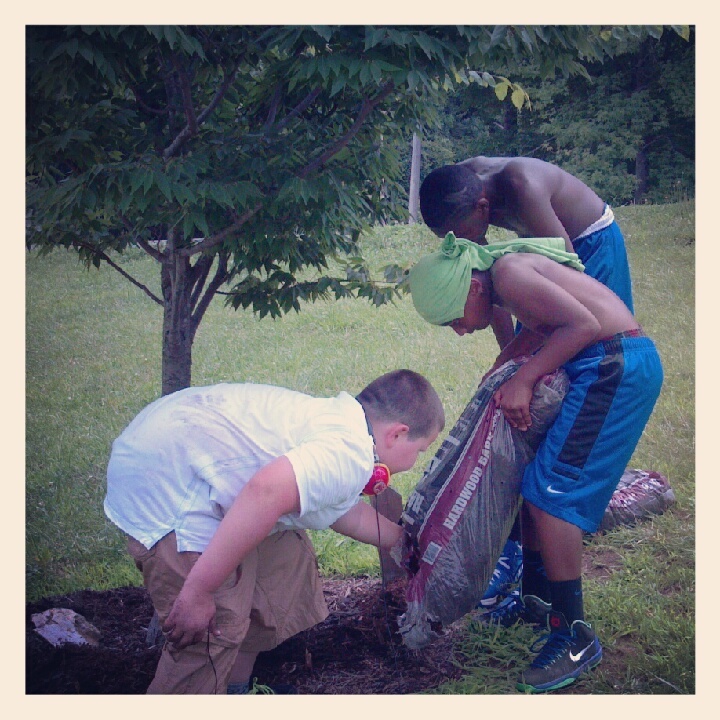 The boys showed awesome team work and community service spirit despite the hot temps! Job well done guys! Working hard together to get the job done! Tim Womick reads an inscription at a memorial tree and gives a quick mini lesson on the importance of not taking loved ones for granted...it's SO much more than just about mulching a tree, right!? !